One of the best bonding times between a parent and child is story time. Everyone loves to be read to! But parents can’t always be there at bedtime. 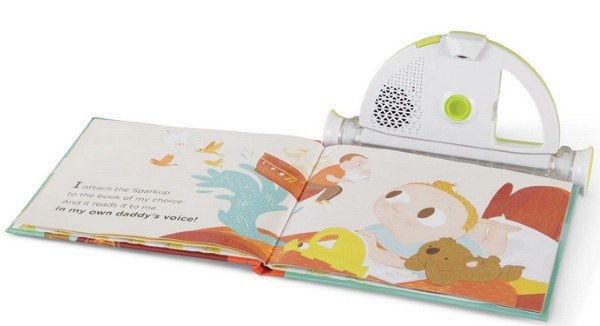 The Parent’s Voice Book Storyteller lets you record any storybook so it can read to your child when you’re not there. The device attaches to any hardcover or paperback story. Then you simply read the book. 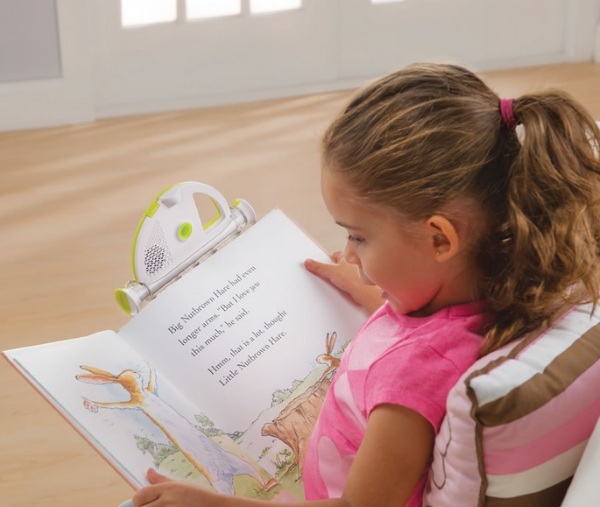 It records your voice and visually recognizes the pages so that if your child has a habit of skipping around, the recording will follow along. You can also add your own sound effects and personal messages making it something unique and special for your child. This records up to 250 minutes of audio which works out to be about 50 children’s book. You can back up your recordings on the computer so that if you need to change books, the work you’ve done isn’t lost. This is a great device for grandparents who don’t live very close or military parents who have to go away from time to time. The Parent’s Voice Book Storyteller is currently $49.95.